A Centennial Celebration of Tributes! 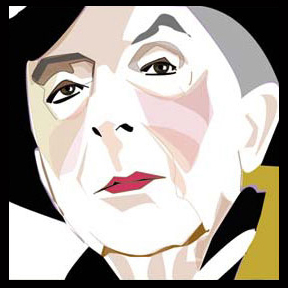 Quentin Crisp is the author of the classicand flamboyantly eccentriccoming-of-age memoir The Naked Civil Servant. The award-winning 1975 film version of The Naked Civil Servant, starring John Hurt, made him an instant international celebrity. Mr. Hurt reprises the role in the recently completed movie An Englishman in New York, written by Brian Fillis for Leopardrama and Englands ITV. This BBC television biopic is to be released in Spring 2009, and will also star Denis OHare (Phillip Steele, an amalgam of Phillip Ward and Tom Steele, two close friends and confidants of Mr. Crisp), Swoosie Kurtz (Connie Clausen, QC agent), Cynthia Nixon (Penny Arcade, performance artist), and Jonathan Tucker (Patrick Angus, artist). Mr. Crisp also wrote numerous books and articles about his life and his opinions on style, fashion, and the movies. Often hailed as the 20th-century Oscar Wilde, Quentin Crisp was famous for his aphoristic witticisms. Beginning with the 1938 work Color in Display, Mr. Crisps literary output has taken several forms. This includes the autobiographical writings The Naked Civil Servant, How to Become a Virgin, and Resident Alien; film commentary published in Christopher Street; travel articles for The New York Times; observations on manners and society in the Advocate; and party-going advice in Out magazine. Quentin Crisp was born Denis Pratt on Christmas Day in 1908 to middle-class parents in a suburb of London. He worked as a commercial artist and an art-school model for thirty-five years. In 1931 he came-out on the streets of London wearing make-up and attired in a flamboyant fashion, outwardly signaling to the world his homosexuality. He received rave reviews and garnered hordes of fans with his portrayals of Queen Elizabeth in the film Orlando, Lady Bracknell in the stage production of The Importance of Being Earnest, and his inimitable self in his acclaimed one-man show, An Evening with Quentin Crisp. He performed his one-man show to acclaim in theaters around the world, all the while spreading his unique philosophy: "Never keep up with the Joneses; drag them down to your level. It's cheaper." During the second part of his one-man show, Mr. Crisp answered questions from the audience and gave advice to audience members about how to find their individual style and live a happy life. He was always in the "profession of being. Quentin Crisp first performed his one-man show at The Players Theatre in New York City in 1978, his first appearance in the U.S., where he went on to win a special Drama Desk Award in 1979. Quentin Crisp was Oscar Wilde's perfect descendant. With his calculated caustic words, open homosexuality and wittily provocative attitude toward any kind of conventionality, Crisp caused a bit of a stir in conservative England during the 1950s and 1960s, and even on through the 1970s. In 1981, Quentin Crisp moved to New York City, bringing along his familiar and witty remarks and his eccentricity. 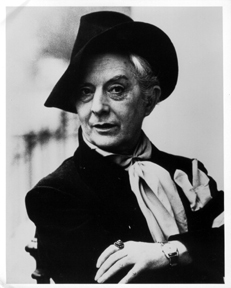 Quentin Crisp charmed everyone and became "the face of a modern rebel. And throughout his near twenty-year tenure on Manhattan, Mr. Crisp wrote a variety of books, reviews, appeared in several movies and delighted us publicly and privately with his inimitable grace, wit and genius. Quentin Crisp died on the eve of touring his one-man show in Manchester, England, on November 21, 1999. 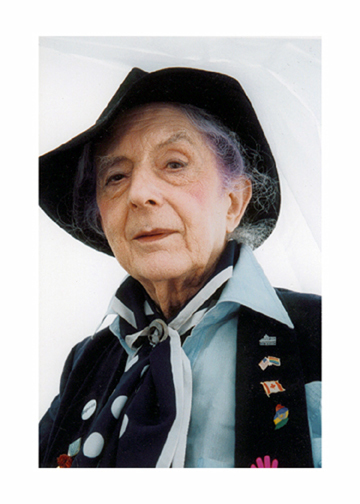 December 25, 2008 is the centennial of Quentin Crisps birth. December 21, 2008 is the 30th anniversary of his first U.S. appearance at The Players Theatre in New York City. A February world premiere of An Englishman in New York will happen at Berlinale's Panaroma 2009. Mr. Crisps final book, The Dusty Answers (as I have said before), will be published for the very first time this year. And Quentins pink fedora will be on display in Londons Victoria and Albert Museum in February through May 2009. And, then, November 21, 2009 will be the 10th anniversary of Mr. Crisps death. And with all this in mind, this coming year is a great year to celebrate the life and legend of Quentin Crisp! Quentin Crisp was one of the worlds most cherished satirists and commentators. His flippancy, self-deprecation and theatricality masked a fervent intelligence and a sharp eye for the detail of contemporary life. It is with this zeal we begin a year of celebration honoring the life and legend of a notorious mind and a generous heart filled with compassion and wisdom. You are invited to send your tributes here to help grow this work in progress, while celebrating Quentin Crisps centennial between now and Christmas 2009. Also visit Memories Said to read what others have written and shared with QCA since Quentin's passing in 1999. Photograph copyright © by Phillip Ward. All rights reserved. Used by permission. Photograph copyright © by Jean Harvey. All rights reserved. Used by permission. Site Copyright © 19992009 by the Quentin Crisp Archives.